Arup: Engineering Firm Transfers Files Worldwide with Citrix ShareFile – CT Link Systems, Inc.
Arup Group Ltd. is a multinational professional services firm headquartered in London, U.K., which provides engineering, design, planning, project management and consulting services for all aspects of the built environment. The firm has over 13,000 staff based in 92 offices across 42 countries and has participated in projects in over 160 countries. Transferring their work to their clients all across the globe. Sending Digital Models, Documents and CAB files from their custom built transfer system (which was capable of handling files of up to 2GB) proved to be inadequate as the years went as the size and amount of files needed increased. Longer upload speed and download speed frustrated both employees and their clients. This caused 60% of their employees to start using personal file transfer services, however these 3rd party services lacked effective security and control. 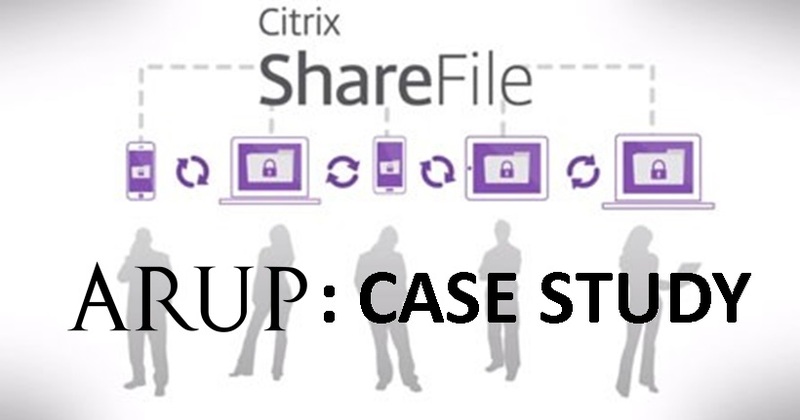 Arup looked at many file based sharing solutions, but they ultimately chose to go with Citrix ShareFile Enterprise. The simplicity of sending files of any size and the ShareFile Microsoft Outlook Plug-in which allows for file sending within the email client for optimal use and convenience were big factors in their decision. Not only did this solution give them a better way for file sharing, but it also helped increase their employee agility by securing the access of files from their mobile devices. Also by setting up multiple storage zones in each region to serve as local storage, it helped increase the speed of sharing to the point that their employees now use it for any file over 5 MB. Arup is still expanding its ShareFile Implementation and plans on introducing mobile functionality soon while already viewing Citrix as one of its key technology partners. ← Join us in our upcoming event Cisco Start!